Can I tell you about one of my most favorite ingredients in the whole world? I seriously love this stuff so much. It's my go-to for adding amazing bold coffee flavor to cakes, cookies, frosting, ice cream, and even smoothies. Even just a tablespoon or so whisked into a recipe is enough to make it taste amazing. And when combined with chocolate? Out. Of. This. World. 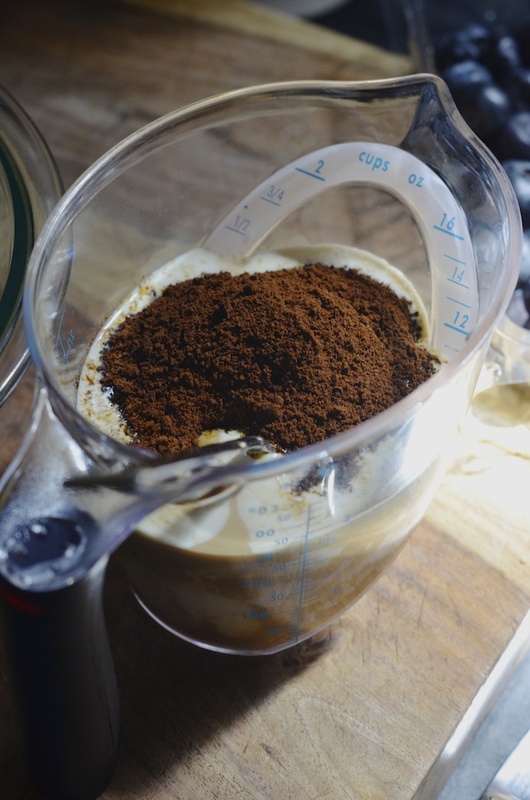 While you can, of course, brew yourself some coffee to use in your baking, I love using instant coffee granules because they dissolve instantly on contact, adding plenty of flavor without diluting the ingredients or changing the volume of liquids. It can also be used in marinades or as part of a rub on steaks or other cuts of meat before cooking, or shaken up with your favorite spirit for a fun cocktail. As you might know, I've been working with Nestle and El Mejor Nido this spring to create a few fun and easy recipes using some of my favorite classic Nestle products. 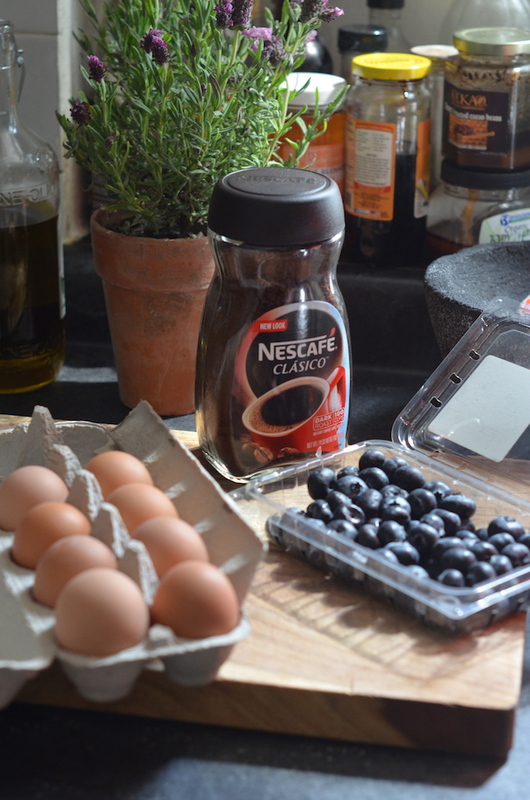 This month, I'm playing around with Nescafé Clásico to create the perfect Mother's Day recipe for the coffee-loving mamas in your life. 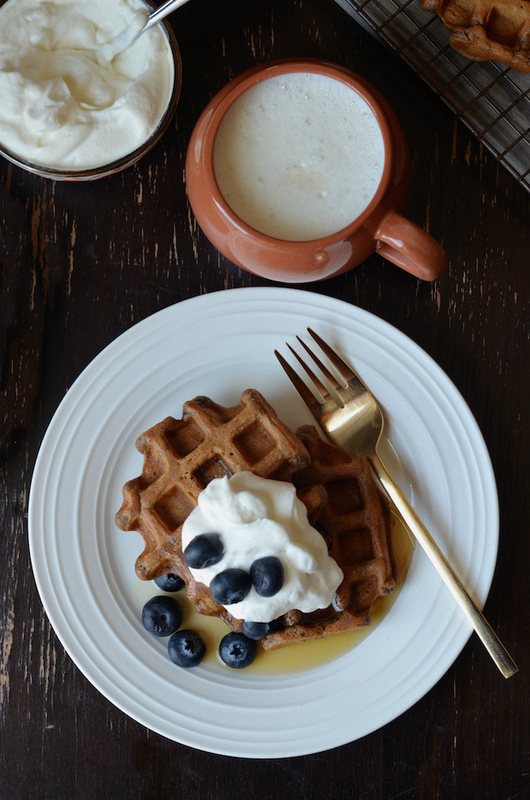 Inspired by my favorite way to drink my morning coffee, I added a few tablespoons of Nescafé granules to my go-to buttermilk waffles recipe, transforming them into the ultimate coffee-flavored waffles--aka Café con Leche waffles! 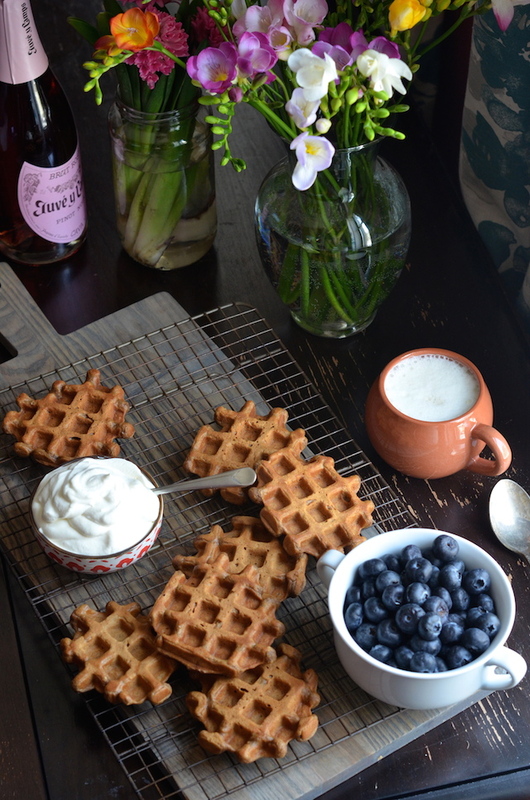 Rich and nutty coffee-flavored waffles are served topped with fresh and lightly sweetened whipped cream for that perfect balance of flavors. A few berries on the side and a generous drizzle of pure maple syrup, and mom will be one happy lady! 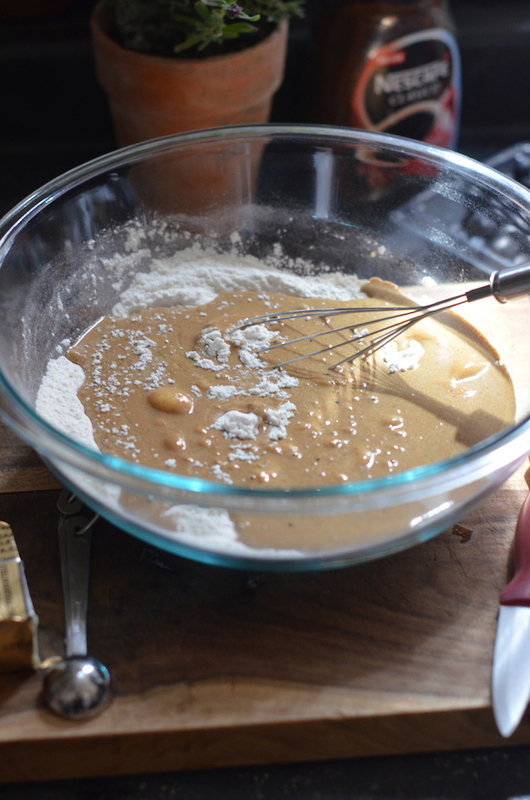 This easy coffee waffle batter comes together quickly--just whisk together the ingredients by hand (no mixer needed!) and then cook in your waffle maker according to your machine's instructions. The whole process takes only about 20 minutes, so you don't have to spend much time fussing in the kitchen before celebrating as a family. Oh and as a tip? I like to make them in batches, keeping them on a rack while the rest cook so that the bottoms don't steam. (It's all about that crispy texture, after all!). This recipe makes enough waffles for four, so if you have any leftovers, let them cool and then pop them into baggies to keep in the fridge or freezer. You can heat them up in a toaster for a super easy and delicious on-the-go breakfast the next day! In a separate bowl, whisk together eggs, buttermilk, NESCAFE, vanilla, and melted butter until smooth. Cook waffles according to manufacturer’s instructions, placing on a cooling rack between batches to avoid steaming. 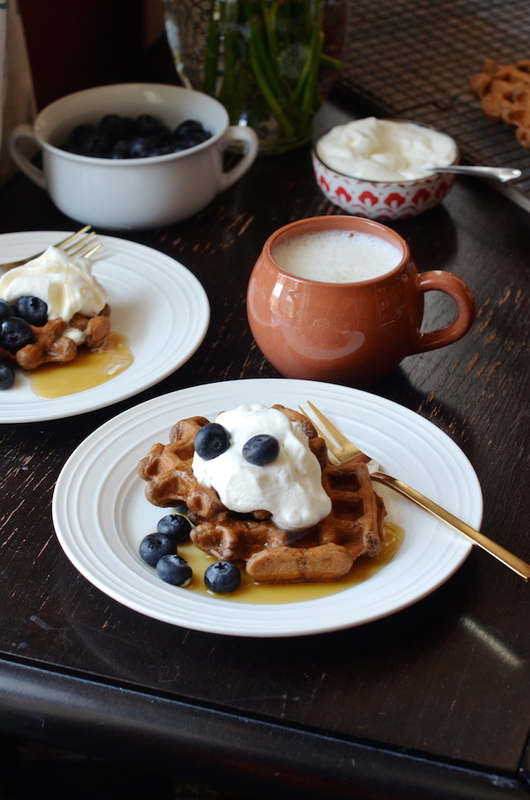 While waffles cook, whip the heavy cream, 1 teaspoon maple syrup, and 1/8th teaspoon kosher salt until stiff peaks form. Serve hot topped with the freshly whipped cream, berries, and maple syrup.